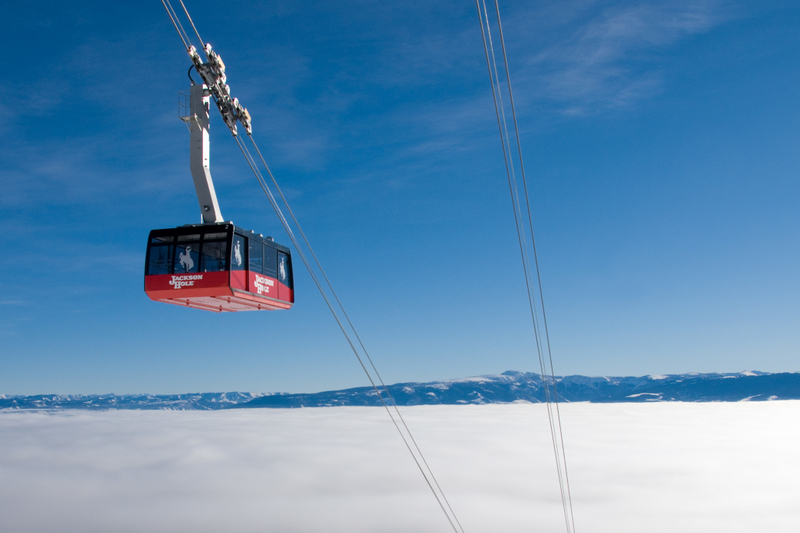 One of the best ski resorts on the continent, Jackson Hole Mountain Resort is famous for its steeps, but today is also a family-friendly resort with plenty of options for beginning and intermediate skiers. 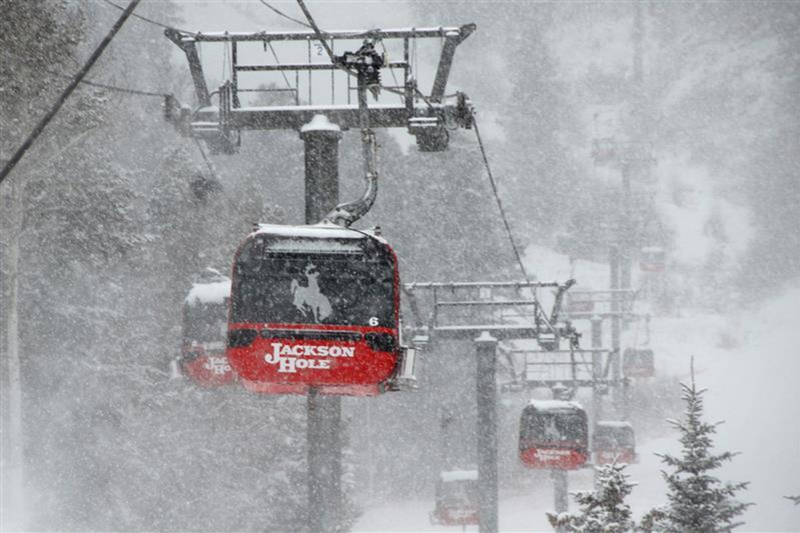 There's no doubt Jackson Hole Mountain Resort is one of the most challenging ski resorts in the country. Whoever/whatever does the rating—readers, editors, SKI magazine, Outside—the family-owned resort most always comes out as the #1 on the continent for steeps and also for challenge. Even the best skiers can find ways and places to scare themselves, both on the 2,500-acres inside the resort gates, and also in the 3,000+ acres of side country terrain accessible outside resort boundaries. Is there any other ski resort in the country where you can take a tram up 4,000-some feet from the base area and then ski into a national park? 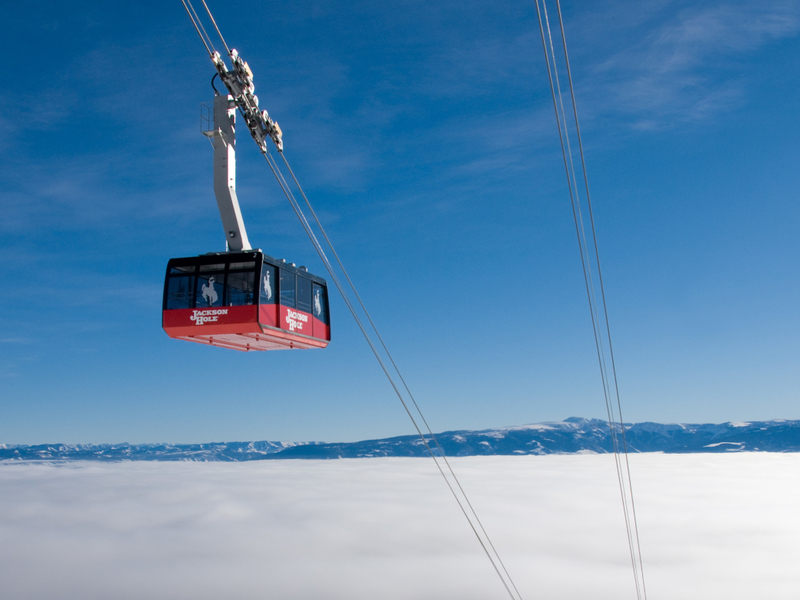 We’re pretty sure Jackson Hole Mountain Resort is the only one. The resort’s Mountain Sports School offers lessons and also backcountry guides in case you want to sample the side country but don’t have the avalanche skills to do so on your own. All that written, in the last decade, JHMR has been going to amazing lengths to make the resort more intermediate friendly. And they have. They’ve added new intermediate terrain and then installed high-speed quads to access it. They’ve made serious investments in grooming. Most amazing isn’t the resort’s transformation, but that it managed to do it without losing its extreme edge. In addition to investing in beginner and intermediate lifts and trails, the resort built a new tram that accesses expert only terrain. JHMR now also has amenities that skiers and riders at any level can appreciate: on mountain dining is better (although still, like all ski areas, far from cheap), there’s an expanded option of gear shops at the base, hot waffles at the top of the tram in Corbet’s Cabin, and spas that can massage the soreness in your quads away. 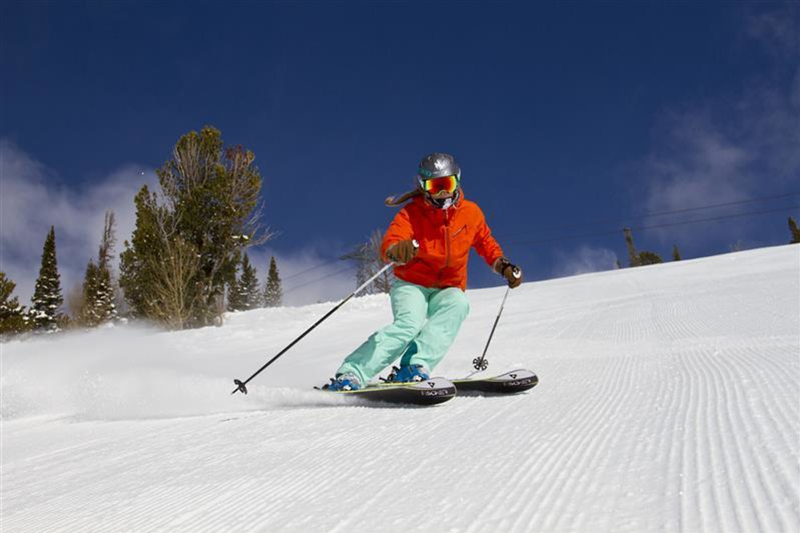 For expert skiers, we recommend the Thunder lift, especially on windy days. Sublette does go higher, but 1) it’s more exposed to the wind and 2) Thunder often gets less traffic. Also, Thunder has PBTB (that’s Paintbrush to Toilet Bowl), Tower Three, and Hoops Gap, all steep and sustained with just enough tight spots to make them interesting rather than scary. Not that experts should skip Sublette. It has the classic expert Alta Chutes, Pepi’s Run, and Bird in Hand. Of course, it’s also Sublette that allows access to the Hobacks. Even the best skiers can find ways and places to scare themselves, both on the 2,500-acres inside the resort gates, and also in the 3,000+ acres of side country terrain accessible outside resort boundaries. The resort is located at 3395 Cody Ln, Teton Village, WY 83025.